Looking to hire great talent? Just the right benefits package could tip the scale. Here are the perks that can help you fill key roles fast. Companies can go to extreme lengths to lure and retain tech talent — from office puppies to on-site massages to catered meals. But which benefits actually matter to the talent they’re trying to recruit and hire? Textio, an augmented writing platform, scrutinized the performance of 75 benefits in more than 300 million job posts to see which perks actually attract IT job seekers and speed up hiring time. It turns out that bread-and-butter benefits, along with flexibility and work-life-balance benefits, are in greatest demand from IT job-seekers. According to a recent survey of 293 technology business leaders from The Consumer Technology Association (CTA), more traditional benefits are the most important to current and potential employees, with health insurance being the most important non-salary benefit, with 91 percent giving it top priority. But beyond a competitive salary, paid time off, and health insurance, what benefits should your organization consider offering to lure today’s top tech talent? Here we look at the six perks employees value most. 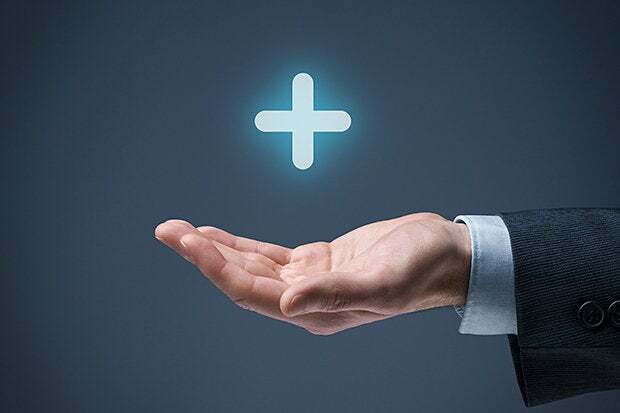 Incentive compensation, like bonuses, followed closely behind health insurance in the CTA’s survey, with 88 percent of respondents saying it was vital to their hiring and retention efforts. Whether this benefit comes in the form of cash bonuses, profit sharing or stock options, companies that offer these types of benefits can expect to fill vacant roles 19.5 days faster than companies that don’t, according to Textio’s analysis. Flexible work arrangements, including flexible scheduling and remote working capabilities, are another attractive perk, with 86 percent of CTA survey respondents noting their importance in attracting and retaining employees over the next five years. Recent research from Dice.com reveals that the ability to work at home is more valuable to tech pros than increased compensation. Some 36 percent of respondents say they’d take a 10 percent pay cut to be able to work from home at least half the time. Another 17 percent would give up 11-20 percent of their income, while 10 percent are willing to take drastic cuts of 21 percent or more to be able to work elsewhere. Being able to take time away from work to care for a child, an elderly parent, a spouse or partner or another family member in need is a critical benefit for job-seekers. Recent research from smart home technology solutions company TruSense reveals that caring for an elderly or adult dependent is negatively affecting career opportunities, especially for middle-aged men. According to the TrueSense report, 10 percent of respondents who have ever worked say time spent away from work to provide care for an elderly family member/friend or adult dependent has negatively impacted their career opportunities. That percentage almost doubles to 19 percent for men aged 45 to 54. Offering time specifically to meet caregiving demands other than for children is going to become an imperative, Deubell says, as the number of people over 55 grows. Companies offering this type of leave benefit can expect to fill available roles 23.5 days faster than those that don’t, according to Textio’s analysis. Training and development remain important for IT pros seeking to keep their skills sharp in a fast moving job market. According to the CTA survey, technical and high-skills training were viewed as very important to 80 percent of respondents. Moreover, 74 percent remarked that professional development programs to hone soft skills were very important to their employees, with another 44 percent seeing tuition reimbursement programs as vital for hiring and retaining top talent in the coming years. The adoption process is not only costly, it’s extremely lengthy and time-consuming. Potential adoptive parents need ample time for applications, travel, interviews, screenings, home visits and the like, not to mention time to bond with a new family member or members once adoption is complete. Companies that offer this type of leave can expect to fill roles 22.0 days faster than companies that don’t, according to Textio’s data. “Clearly, leave is important, but if you must have one ‘Silicon Valley style’ perk on offer, it should be an on-site gym,” Textio’s Snyder says. Textio data also shows that companies offering an on-site gym fill positions 19.7 days faster than companies that don’t offer this benefit. But if an on-site gym isn’t possible for your organization, wellness programs, including gym memberships and weight management programs, can be attractive to potential hires, with 46 percent of respondents to the CTA survey rating such benefits as very important to their hiring and retention efforts. It’s also important to note that the language you use when crafting your job descriptions is important, Textio’s Snyder says. Textio’s analysis shows that, while offering “vacation” as a benefit can actually slow down your hiring process, “leave” is clearly a necessity for job-seekers. “The fact that ‘vacation’ can actually slow down the hiring process just goes to show that how you talk about your leave will impact who applies. Language is always changing, and ‘leave’ is hot today, whereas ‘vacation’ is passé,” Snyder says.